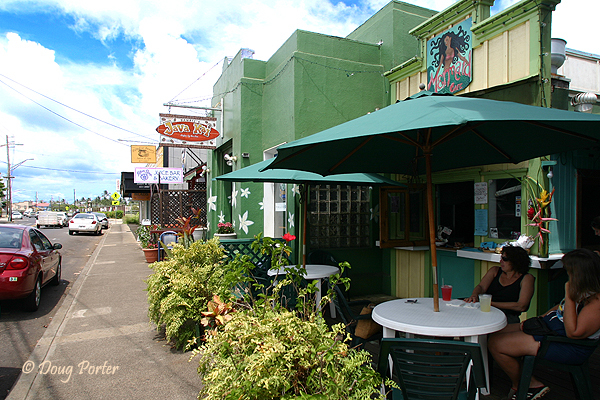 Kapa'a, Kauai is a charming, beachside village that is home to lots of shops, Kauai restaurants, churches, vacation rentals, and wonderful east-side beaches. Its popularity often causes traffic to come to a crawl as it passes through town tempting you to take the bypass route the runs through the cane fields towards the mountains. If you do, though, you'll miss the quaint ambiance of this laid back town. Because of the wonderful beach, and excellent location for exploring both north and south shores of Kauai, many vacation rental condos are located in Kapa'a including, Islander on the Beach, and the number 1 rated Waipouli Beach Resort.